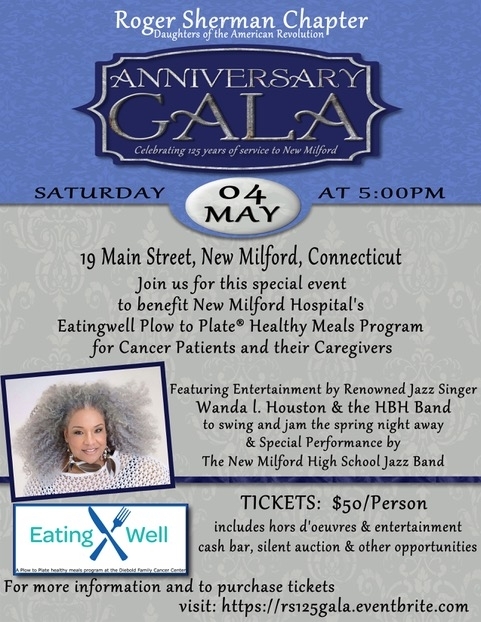 Featuring entertainment by renowned jazz singer, Wanda L. Houston & the HBH Band to swing and jam the spring night away. Special performance by the New Milford High School jazz band. Ticket price $50 per person includes hors d’oevres and entertainment, cash bar, and silent auction. Purchase tickets at: https://rs125gala.eventbrite.com, contact Stephanie (860) 372-8389 for further info.